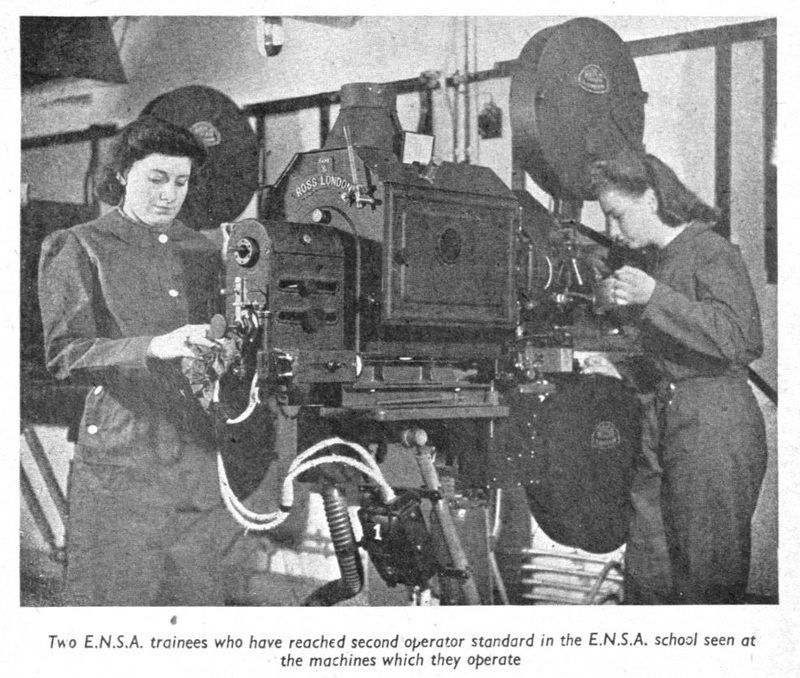 Items relating to projectionists from the trade papers Kinematograph Weekly and its supplement The Ideal Kinema. All items used with permission from Screen International. 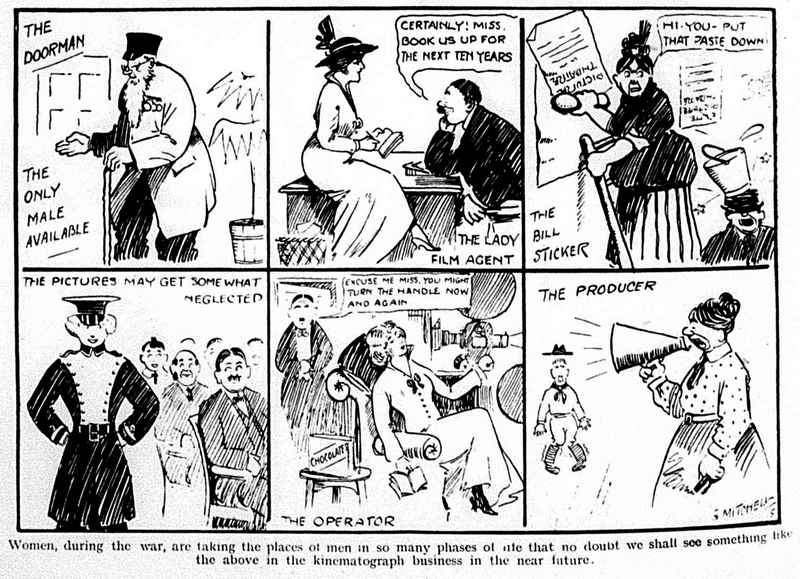 This cartoon published in Kinematograph Weekly on June 24 1915 addressed the impact of the shortage of male labour on the cinema experience. Used with permission from Screen International. Posted on 24/10/2017, by The University of Warwick. Posted on 01/11/2017, by The University of Warwick. 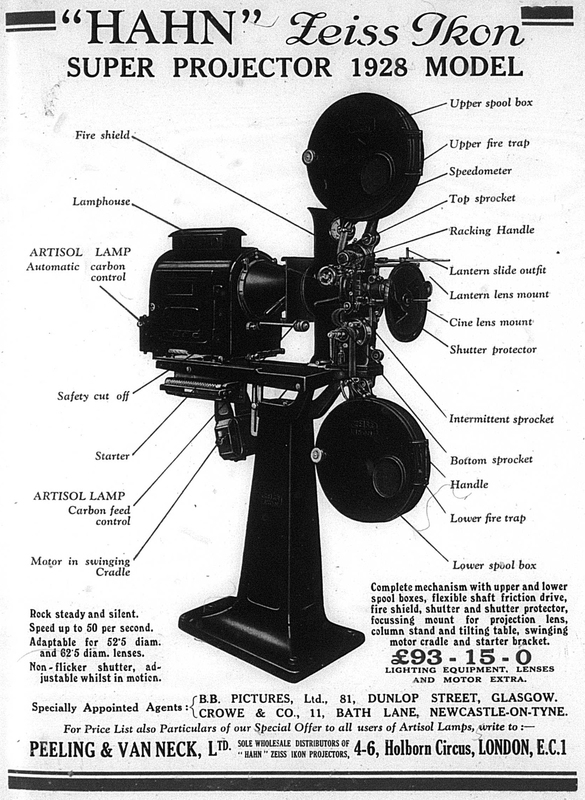 An advert for the "Hahn" Zeiss Ikon projector including an itemised diagram of the various aspects of the projection mechanism. 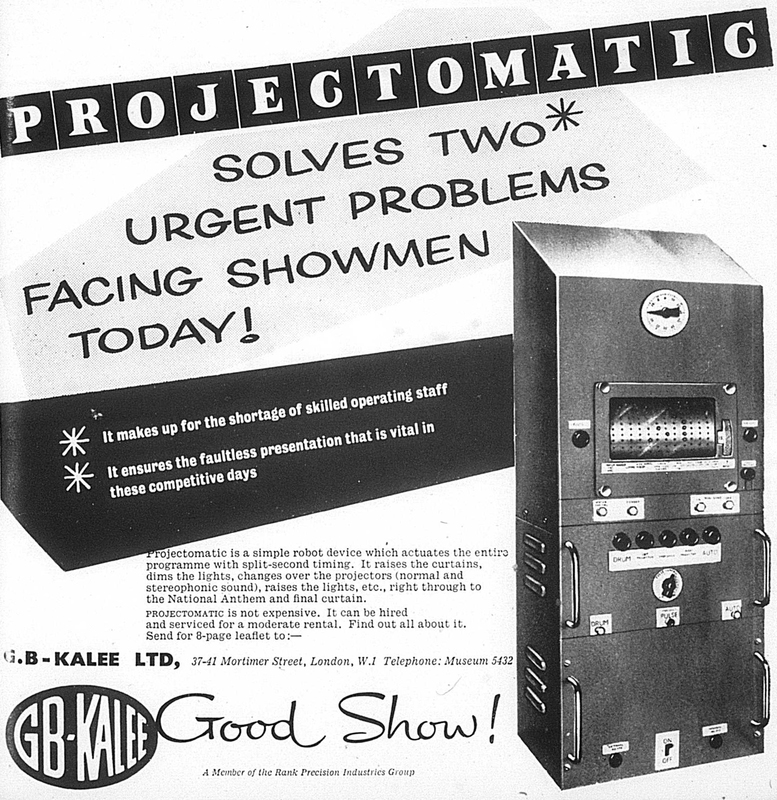 An advert for a Projectomatic automated projection machine. 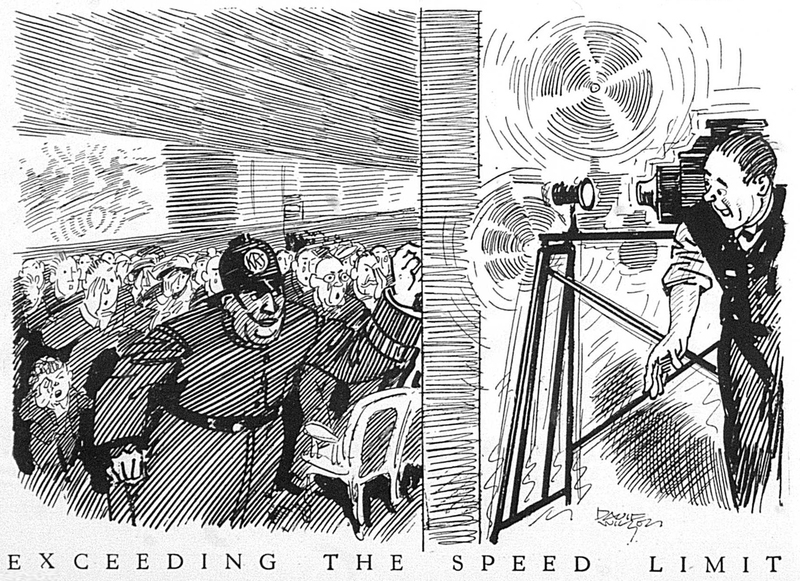 Used with permission from Screen International.